We know how important vitamins are to our health, but we may underestimate the importance of minerals. While many foods contain minerals, their nutrient content varies dramatically depending on farming methods, so even if we're eating whole, fresh foods we may not getting nearly as many minerals as we need for optimal health. 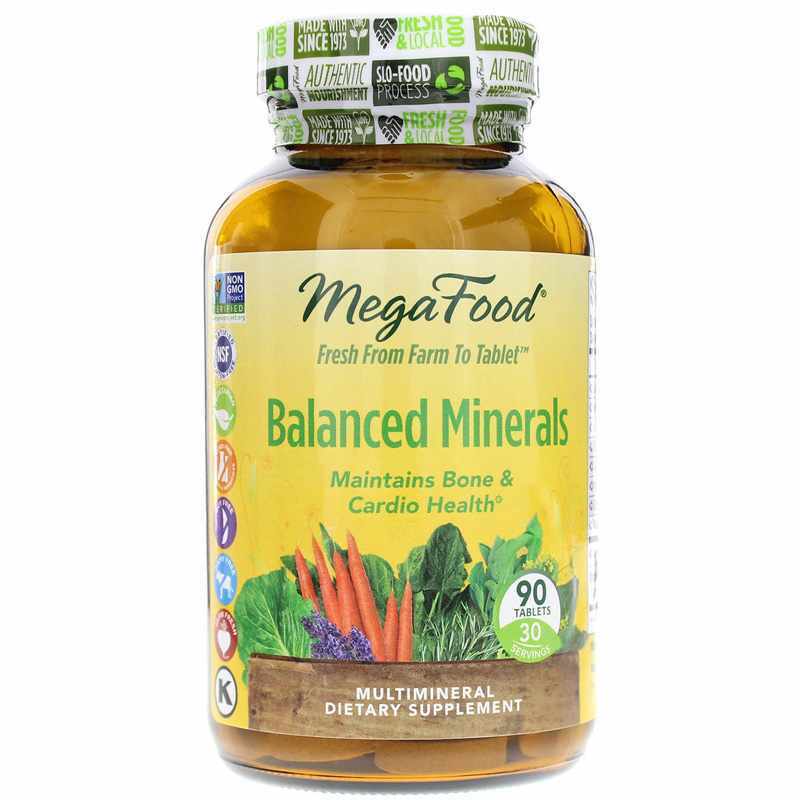 Balanced Minerals from MegaFood supplies easy to digest food and herb-based mineral and trace mineral support for overall nutritional support. Minerals are essential for normal bone development and strength, proper muscle function, mood health, metabolism, nervous system function, reproductive health, energy, acid-alkaline balance and much more. The minerals in this formula are FoodState Nutrients, which the body may more readily recognize and utilize for optimal health. It also includes organic nettle leaf and spring horsetail leaf, two herbs which are rich in synergistic trace minerals. 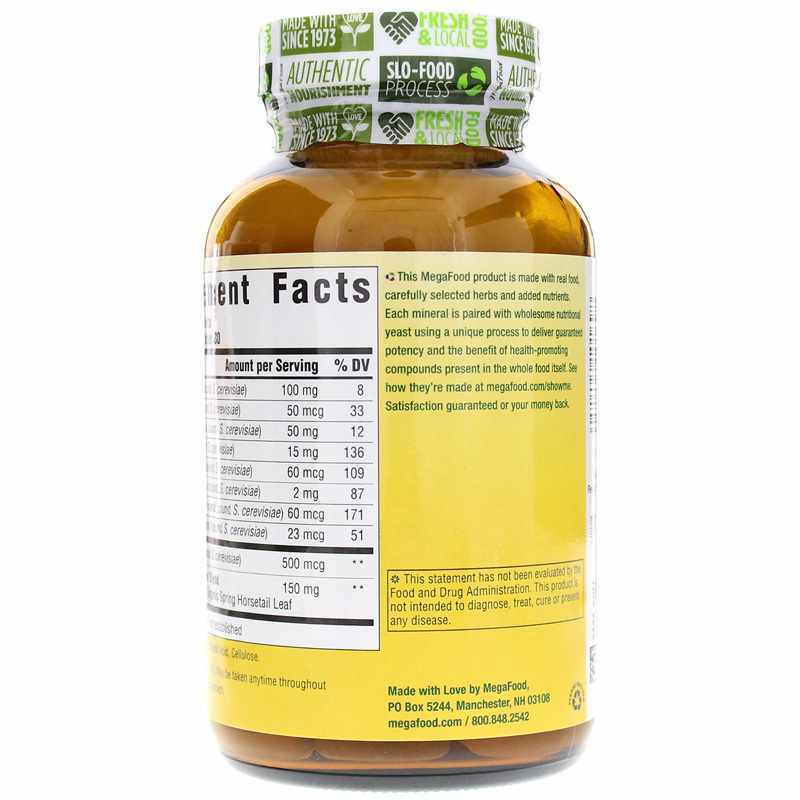 FoodState Nutrients - "are made with fresh and local foods. Crafted with our Slo-Food Process, they deliver the most authentic nourishment available, which we believe the body recognizes as 100% whole food." Food is probably our best source of easily-absorbed nutrients, but the quality of our food is not what it used to be, and our fast-paced lives may not always leave us with time to prepare the healthiest meals. 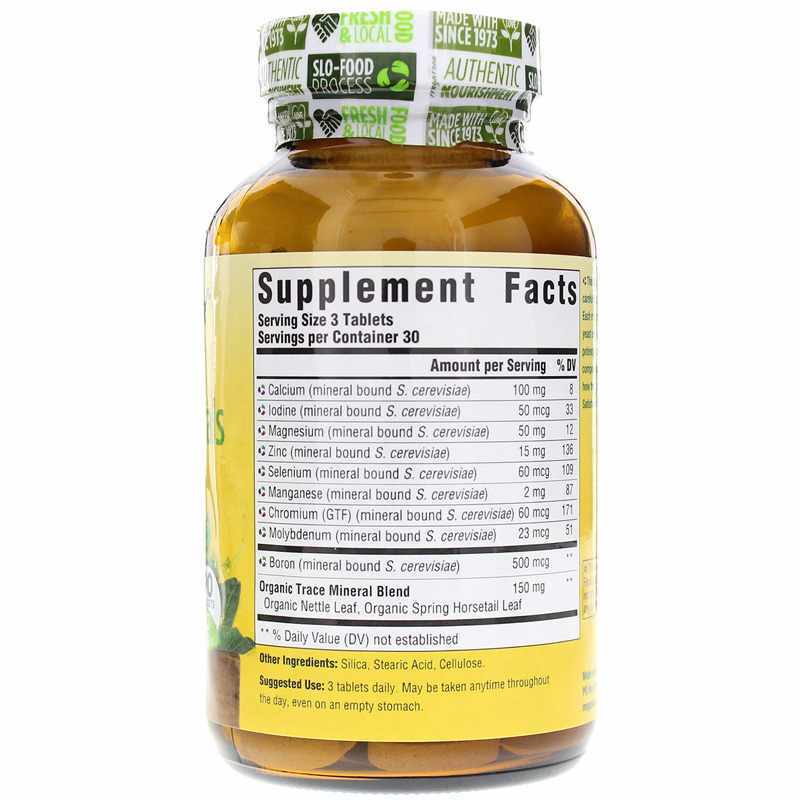 This food and herb-based mineral supplement delivers easily digested minerals your body can use to keep you strong, healthy and active, naturally. Order yours now! Other Ingredients: Silica, Stearic Acid, Cellulose. Adults: 3 tablet daily. May be taken anytime throughout the day, even on an empty stomach.